The Fourth Annual Go Red for Women Zumba Event was held at the Newburgh Armory Unity Center on Sunday, February 15, 2015 in Newburgh, NY. 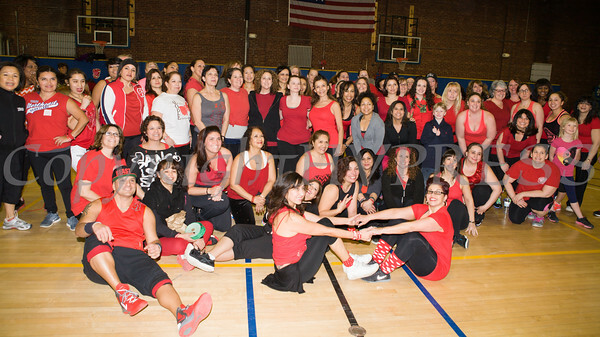 Zumba instructors join with participants for a gourp photo prior to the Fourth Annual Go Red for Women Zumba Event held at the Newburgh Armory Unity Center on Sunday, February 15, 2015 in Newburgh, NY. Hudson Valley Press/CHUCK STEWART, JR.